I understand that this for Windows only. 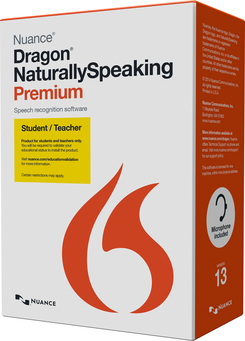 From university students and teachers, self-employed workers, writers/bloggers, to consultants and small business owners, if you rely on computing, then Dragon NaturallySpeaking Premium speech recognition software is right for you -- even on the go. With Dragon Premium as your personal assistant, you'll accomplish more than you ever imagined possible - at home, work, or wherever life takes you. Dragon Premium gives you complete voice control of your digital world. Turn ideas into text at the speed of thought. Tell your PC what to do and it does it. Use Dragon to talk your way through your "to-do" list -- email, reports, spreadsheets, presentations, social networking, and more - quickly and confidently. With Dragon Premium, you can even be productive on the go. Use your iPhone or iPod as a wireless microphone at your PC, or dictate to a digital voice recorder and Dragon will transcribe the audio files when you return to your PC. Capture thoughts on the go using a digital recorder or the free Dragon Recorder App and Dragon will transcribe the audio files back at your PC. Natural-sounding text-to-speech or audio playback of your own dictations makes proofreading fast and easy. Enhanced intuitive design and helpful tutorials make it easy to get started and easy to master working with Dragon. Use your voice to update and check your Facebook and Twitter status and pages, plus communicate with friends, coworkers and peers via chat clients with commands. Dictate, edit and send messages with your favorite web-based email accounts and check class schedules, client meetings, kids’ activities and other appointments in your calendar with voice commands. 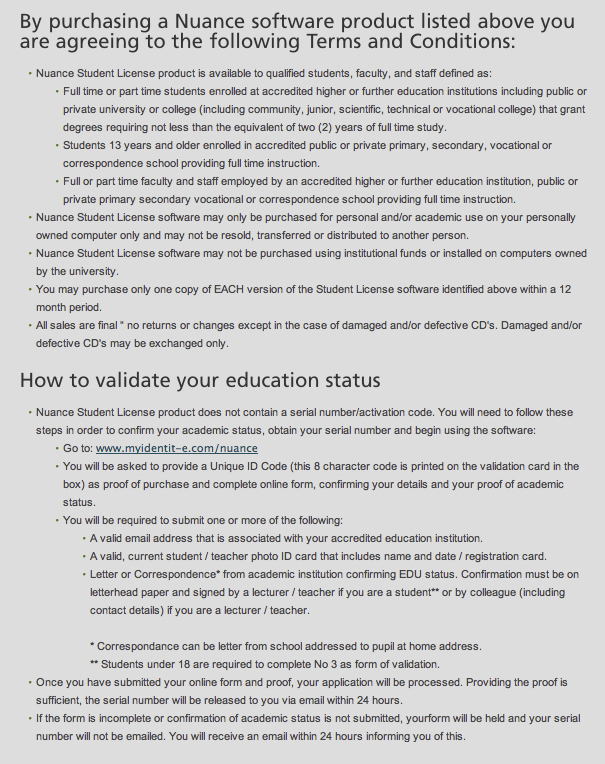 NOTE: The install process checks that your system meets the minimum requirements; if they are not met, Dragon NaturallySpeaking will not be installed.